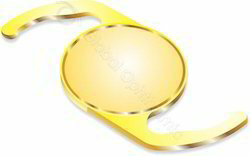 Prominent & Leading Manufacturer from Chennai, we offer yellow hydrophobic intraocular lens hypho vue and hypho flex hydrophobic iol. HYPHOvue Yellow series acrylic foldable IOLs made from pure hydrophobic acrylic polymer with UV-A blocking and violet Blue light absorption material. This is the same UV-A blocking and Violet Blue light filtering chromosphore that is in the human crystalline lens. Blue light absorption IOLs to reduce the risk of age related macular degeneration. Blue blocking IOLs reduce low light contrast sensitivity as well as color perception. These capabilities are critically needed for optimum vision of implant patients, particularly at night. Natural Yellow achieves complete natural protection without loss of contrast sensitivity or color perception. +4.0 D to +35.0 D in 0.5 D steps. Aberration Neutral Aspheric optics-negative spherical aberration wave front technology. Well polished smooth Hydrophobic optics helps delayed PCO and haptic for ease of unfolding. 360o Square edge design provides uninterrupted contact at the haptic-optic junction to limit LEC’s migration. 5o Angulations haptic design – continuous posterior surface contact with the capsular bag to prevent PCO. HYPHOFLEX Aspheric Hydrophobic foldable IOL made from pure acrylic polymer and a proprietary cryo-lathing process with no glistening. HYPHOflex Aspheric series intraocular lenses with aberration free Ultra view advanced technology. Our Aspheric IOL’s with negative spherical aberration to compensate for positive aberration of an average cornea. 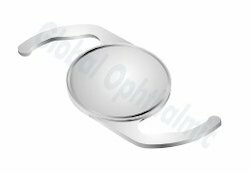 Our Negative spherical aberration aspheric design results to reduce or eliminate the spherical aberration of the eye and peak visual performance like young adults after cataract surgery with our lens. Our foldable acrylic IOLs are lower refractive index- which minimizes problems with glare, external and internal reflections and other unwanted visual phenomena. Our Aspheric IOL’s to be safely implanted whatever their corneal spherical aberrations. Looking for Hydrophobic IOLs ?